Original available Oil on Canvas framed in gold approx A2 sized: £425. 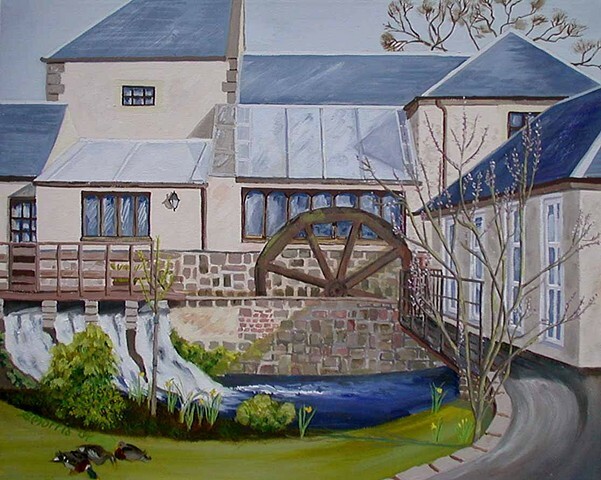 Another wee painting from my days in Crook of Devon. The mill building is now used as a curtain shop but the old 'race' is at the point where the River Devon turns back on itself, forming the 'crook', and there's a small pond on which ducks alight and where they nest in the rushes at the water's edge.